G’Vine, handcrafted in France, seems to have redefined the frontiers of the gin category, erasing traditional ideas and changing the perception of this centuries-old spirit. While most of the world’s gin is made from grain spirit, G’Vine Gin is crafted from grape spirit which creates a silky, luxurious feel. France’s Cognac region is the birthplace of G’Vine, using Ugni Blanc grapes which in every September, are harvested and immediately pressed and converted to wine. The result is then distilled in a column still producing a neutral grape spirit over 96.4 % abv. Unlike traditional grain spirit associated with Gin production, the neutral grape spirit is significantly smoother with a heady body. Once a year, in mid-June, the rare green grape flower blossoms but only exists for just a few days before maturing into a grape berry. This delicate flower is immediately hand picked and carefully macerated in the neutral grape spirit over a period of several days to obtain the best floral essence. The infusion is then distilled in a small Florentine pot still. As the neutral grape spirit and the green grape flower infusion are nurtured, nine fresh whole-fruit botanicals of juniper berries, ginger root, liquorice, cassia bark, green cardamom, coriander, cubeb berries, nutmeg and lime are macerated over a two to five day process. Small bespoken liquor stills are used to insure the best quality. G’Vine embodies the vine’s life cycle, resulting in G’Vine Floraison and G’Vine Nouaison. The two products represent the evolution of the grape through its various stages, from the blossoming period right through to the harvest. 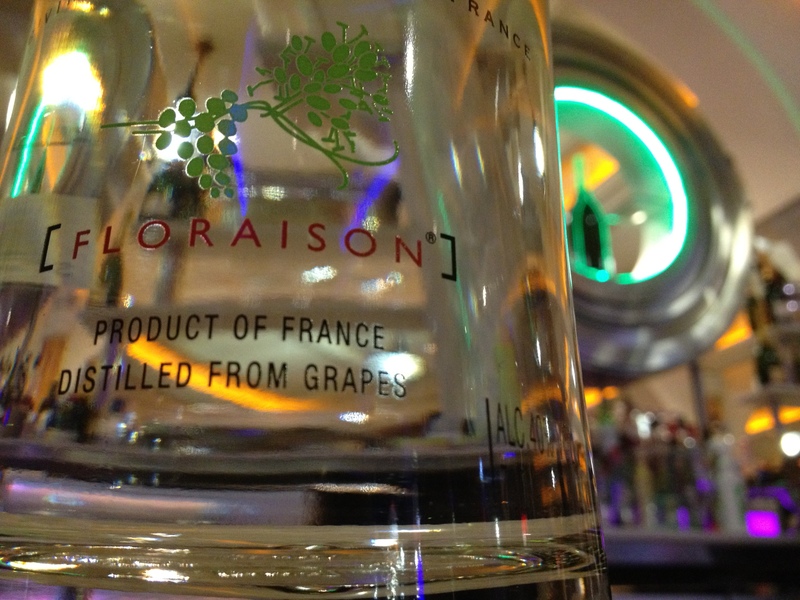 G’Vine Floraison captures the essence of the exhilarating fragrance of the vineyard when the vine flower blooms to life, and the warmth of the arrival of summer. whilst G’Vine Nouaison captures the emotion around the birth of the berry. Winning gold at the International Review of Spirits in 2007 and 2008 and a silver medal at the San Francisco World Spirits Competition. On the nose there’s a clean, crisp scent with a slight sweetness lingering with ginger making an easy appearance as it enters your palate. A fresh floral hit to begin with but mellows out rather quickly with the flavours of juniper and ginger leaving a lasting, slightly dry finish. Winning gold at the Drinks International Gin Challenge in 2008. A cleaner, more forest aroma on the nose which turns into a richer, sweeter, and fruitier flavour on the palate. Hints of citrus and cinnamon create small bursts in your mouth that leaves a rather silky feel that evolves into a fruity after-taste. If I was to pick between the two, the Nouaison would be my preferred choice, with its richer sweetness on the palate (perfect for sweet tooth drinkers!). 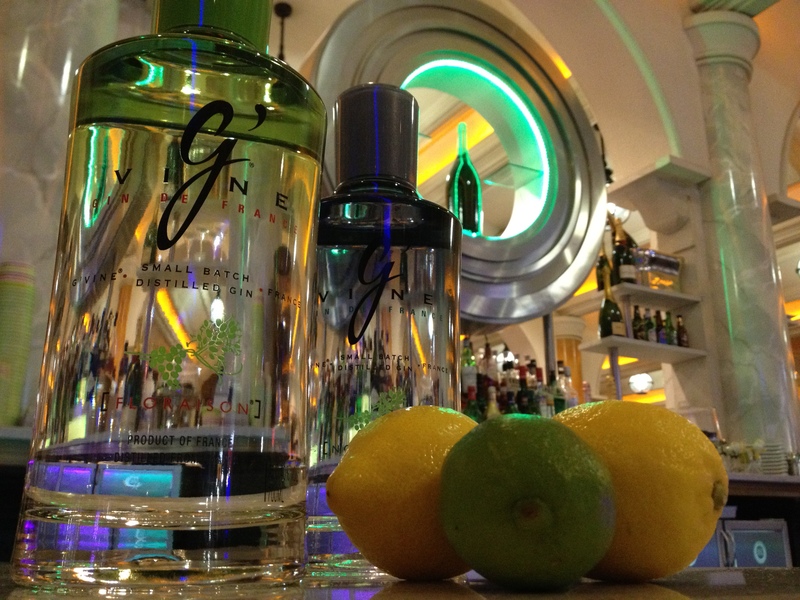 Both G’Vine products are considered premium gins and you can expect to pay around £25-30 retail. G’Vine has also created its very own Gin Connoisseur Program, and now in its third year, it searches for the most gifted gin-loving bartender in the world. In addition to challenging bartenders with the basics of hands-on cocktail creation, the contest also includes some seriously academic elements that set this competition a world apart from the typical shake-off. Winners of this years programme will receive the title of G’Vine Gin Connoisseur 2012, $3,000, a platinum pin worth 800 €, a trophy, a trip to Tales of the Cocktail 2012 and a trip to Bar Convent Berlin 2012 as well as a year’s supply of G’Vine gin for his or her bar. So no pressure. Enter here. If your not in the bar trade, or just fancy creating some cocktails, try out some of the recipes below, or better still, ask your local bartender to create. Enjoy! Pour all ingredients in a mixing glass, except the champagne, then add ice, shake and strain into a flute and top off with Champagne. 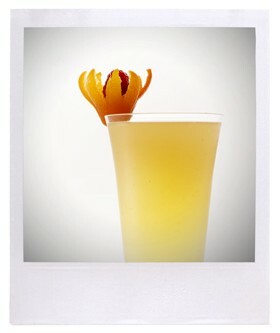 Garnish with a kumquat floret and orange zest. Muddle the kumquats, lime and syrup then pour G’Vine Floraison. Add ice, shake and double strain into a cocktail glass containing the Champagne. Garnish with a kumquat flower and raspberry in the middle. 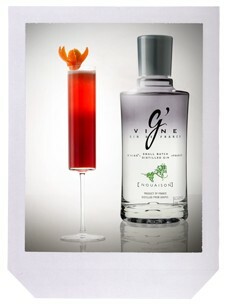 To check out some more photos of G’Vine gin, head over to my Facebook page.